Are you someone who enjoys smoothies as a snack or a substitute for breakfast? The only issue is these need to be prepared before they can be enjoyed. 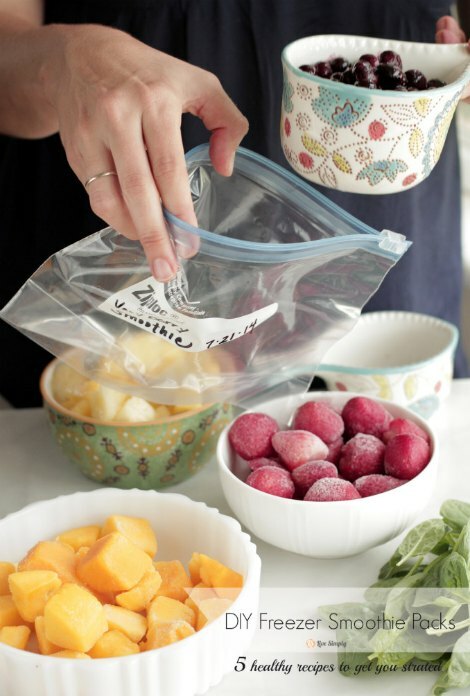 If you do not have time to prepare ingredients for a smoothie, then freezer smoothie packs are a better alternative. You can easily prepare various types of freezer smoothie packs to use throughout the week. This is one of the best ways to save time in the morning as all you need to do is blend the ingredients. You can add any type of fresh fruits and vegetables you have on hand to your freezer packs. The best thing about freezer smoothie packs that have fresh fruits and vegetables is they do not need to be thawed. All you need to do is pour the contents into your blender. This is a really awesome way you can enjoy your favorite smoothie every day.